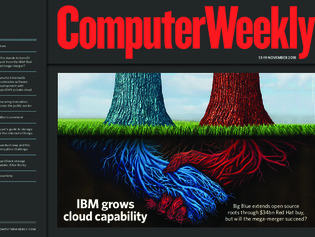 In this week’s Computer Weekly, after IBM pays $34bn to buy open source specialist Red Hat in an attempt to boost its cloud capabilities, we analyse whether the deal can be a success. We examine the challenges that the emerging field of quantum computing presents for current encryption techniques. And our latest buyer’s guide looks at storage for the internet of things. How automaker Porsche Informatik’s software arm is using a Red Hat private cloud to develop new trading platforms. The Crown Commercial Service’s technology director talks about how the government’s procurement agency is working to make buying easier, drive innovation and shake up the public sector. Snapshots and container storage support are among recently added functionality in the open source private cloud platform, but supplier driver support for OpenStack is not universal.